Northampton LASIK FAQs | Is LASIK Right For You? Eye Physicians of Northampton serves all of Western Massachusetts including Amherst, Northampton, Florence, Williamsburg, Springfield and Westfield, Massachusetts for LASIK Vision Correction. Your eyes and your vision are as unique to you as your fingerprints. LASIK (Laser Assisted in Situ Keratomileusis) and other laser correction procedures allow for custom correction for your specific visual needs. Without a thorough examination, it is difficult to determine if vision correction surgery can benefit you. Laser Vision Correction is a rapidly evolving field and recent advances have made it possible to correct problems that couldn’t be fixed just a few years ago. 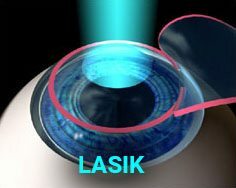 Nearsightedness (myopia), farsightedness (hyperopia) and astigmatism are most often treated with the excimer laser (LASIK, ASA or PRK). Patients should be at least 18 years of age, have healthy eyes, had no significant changes in their vision within the past year. New options for treating the loss of near vision that occurs with age (presbyopia) are also available. At Eye Physicians of Northampton, Dr. Shatz emphasizes an individualized approach to laser vision correction and will meet personally with all candidates interested in laser vision correction. He is glad to meet with you at our Amherst or Florence office to discuss your options and tailor your vision correction procedure to meet your specific visual needs. LASIK, or laser in-situ keratomileus, is the most frequently performed form of laser vision correction. LASIK can treat both nearsightedness and farsightedness, with or without astigmatism. During the procedure, a thin corneal flap is created using a delicate instrument called a microkeratome. The flap is gently folded back, and laser pulses are then applied to area of the cornea beneath the flap to achieve the desired correction. After the flap is delicately re-positioned, the procedure is complete. Rapid visual recovery and minimal discomfort during the procedure have made LASIK an appealing option for vision correction. LASIK is surgery. With all surgery, precautions should be taken to ensure safety and optimal outcomes. We encourage our patients to explore their options carefully. We invite your questions and look forward to speaking with about your possible LASIK candidacy. If you are considering LASIK, Dr. Shatz is glad to meet with you to discuss your options. He will explain the procedure and discuss any concerns you might have. Dr. Shatz is a Board Certified Ophthalmologist Specializing in LASIK and Cataract Surgery. Call Eye Physicians of Northampton today for a consultation. Advanced Surface Ablation (ASA) utilizes an excimer laser to reshape the surface of the cornea. Like LASIK, it is used to correct nearsightedness, farsightedness, and astigmatism. Unlike LASIK, ASA does not require the use of a microkeratome blade. No corneal flap is created and no blade is necessary. Patients who have been told they were not good candidates for LASIK due to thin corneas, a high degree of focus error, or other conditions, may be eligible for vision correction with ASA. After laser treatment is performed, a soft contact lens is applied to the eye and left in place for several days. While recovery time is slightly longer than with LASIK, visual results are excellent. 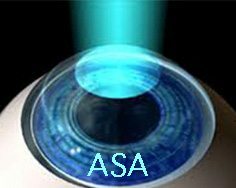 For more information on ASA, please contact Northampton Eye Physicians and speak with one of our LASIK coordination staff members. 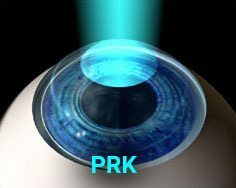 Photoreactive Keratectomy (PRK) utilizes an excimer laser after a thin outer layer of the epithelium is removed before the laser reshapes the cornea. A soft contact lens is applied while the epithelium heals itself during the post-operative period. Similar to LASIK, it is used to correct nearsightedness, farsightedness and astigmatism. PRK does not require the use of microkeratome blade, much like ASA, where no corneal flap is created. Patients who have been told they were not good candidates for LASIK due to thin corneas, a high degree of focusing error, or other conditions, may be eligible for vision correction with PRK. 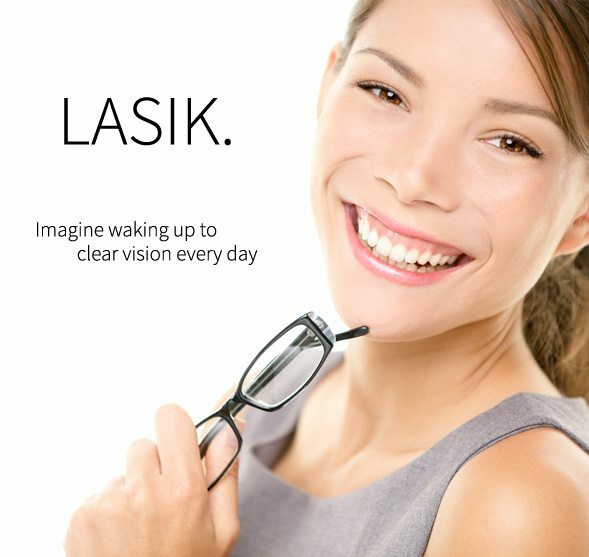 For more information on PRK, please contact Eye Physicians pf Northampton and speak with one of our LASIK coordinators. WHY CHOOSE DR. SHATZ FOR LASIK? Dr. Shatz emphasizes a highly individualized approach to laser vision correction and will meet personally with all candidates considering laser vision correction. Dr. Shatz has sub-specialty training in corneal surgery and laser vision correction. He underwent fellowship training in cornea, cataract and LASIK surgery at the prestigious Bascom Palmer Eye Institute. Bascom Palmer Eye Institute has been voted Best Eye Hospital for 11 consecutive years by US News & World Report. After performing thousands of vision correction procedures, Dr. Shatz, deeply respects the unique visual needs of the each patient who seeks vision correction surgery. He understands that considering LASIK this is a very big step for you and believes it is important that you have time to thoroughly discuss your options with your surgeon. Eye Physicians of Northampton has been serving the eye care needs of the Western Massachusetts for over 45 years. Our continuous presence in the Northampton area has contributed to a strong connection with the community entrusting Eye Physicians in serving their eye care needs.